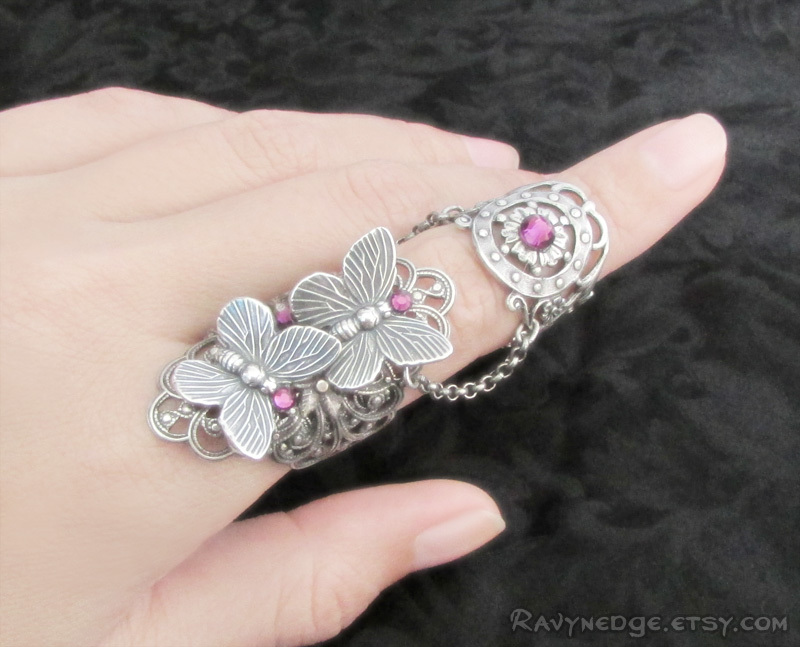 Fairy's Touch Armor Ring II - Double Butterfly Silver Filigree Adjustable Armor Ring by RavynEdge. 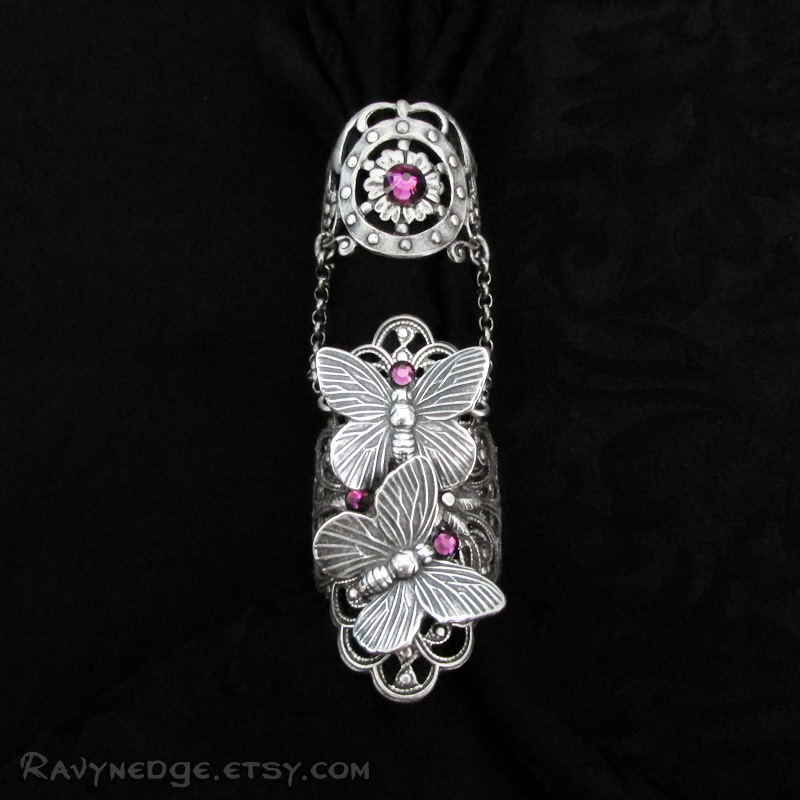 This was a custom design for a customer who wanted the Fairy's Touch Armor Ring with two smaller butterflies and amethyst crystals. 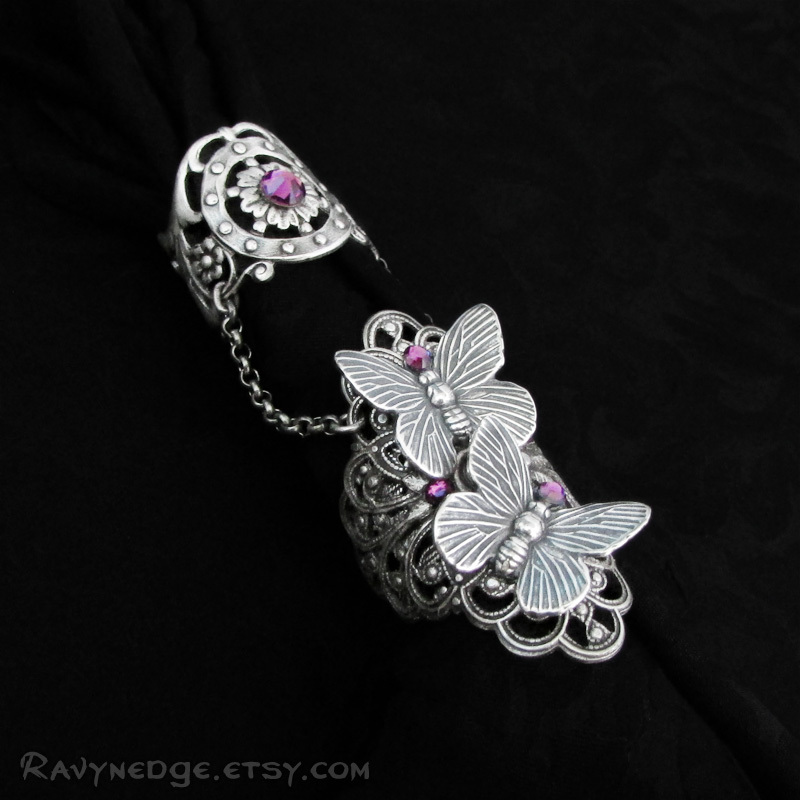 With a fairy's touch, two sweetly detailed butterflies alight upon your finger with this dimensional two part armor ring made from ornate sterling silver plated brass filigree and amethyst Swarovski treasures. 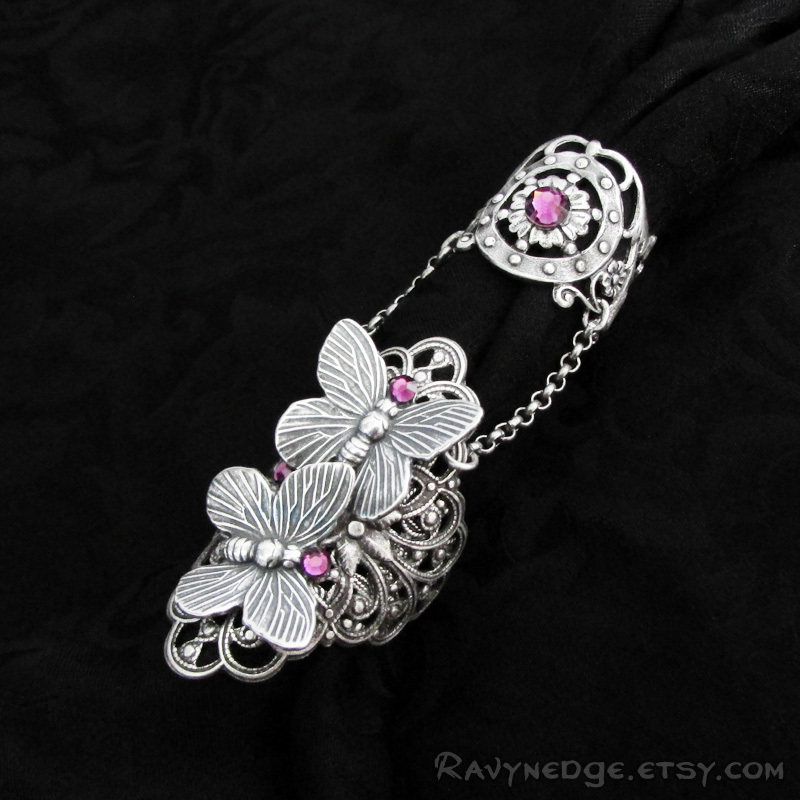 The main and knuckle bands are connected with sterling silver plated brass chain. Can be worn on any finger. Both rings are adjustable and can fit most finger sizes. At larger ring sizes, there may be a gap under the finger. If you tell me your ring size above and below the middle knuckle, I will adjust the ring size for you free of charge. 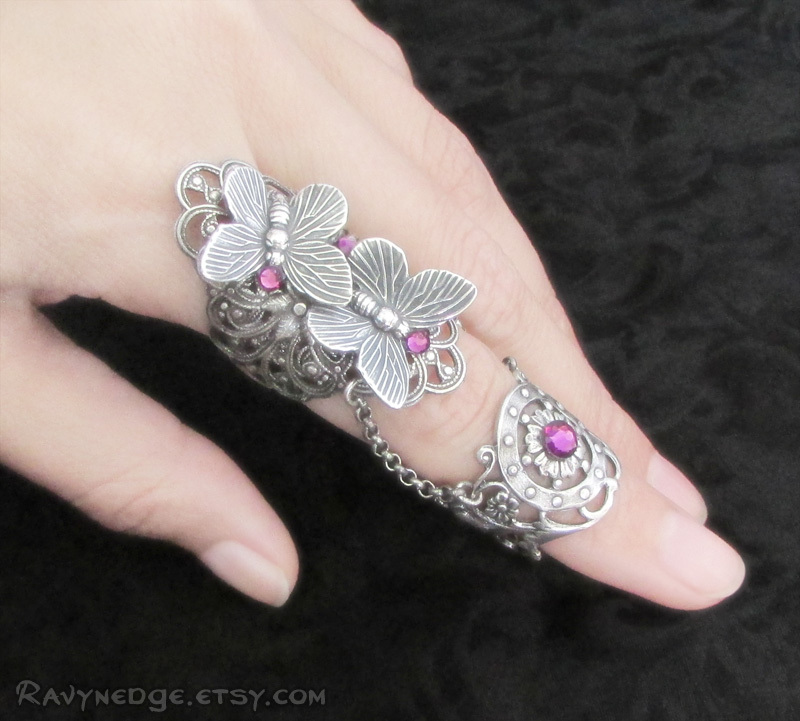 If you do not specify a size, the ring will ship at a size 7 US for the butterfly part and size 3.5 or 4 US for the knuckle band.